When I was in the 7th grade I was assigned a locker partner at Mound Fort Elementary School named Bill Nash. We became fast friends. We went to movies at least once a week. We went skinny dipping in the river. Our relationship as always positive and wholesome. We had similarities. He had an older sister, I had an older brother. Our fathers drank too much and we identified with common problems. We were both members of the Church of Jesus Christ of Latter-day Saints. He wasn’t active. We went through High School together attending many activities including double-dating with girls. There were times when he needed my approval for many things by saying, “Huh, Merlin?” to his questions and opinions. Being at Odgen Senior High School was challenging. 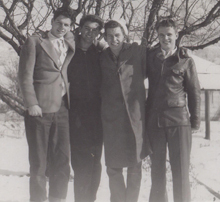 The foursome was Bill Nash, Merlin Sorensen, Fred Kecham and Wayne Mount. If there was a school activity on for Friday night, we would go as a group. We would get dates and go together and have a great time. If there was no school activity we would meet at Fred’s house aid play pinochle. Mrs. Ketcham would bake us a cherry-chocolate cake about 5 or 6 inches high and playing pinochle and having that surprise treat made all the difference in our happiness at Ogden High School. 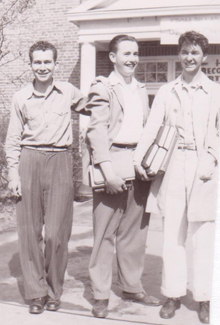 After high school and Jr. college experiences, Bill had decided to attend BYU. I had thought of going to a music school in Salt Lake City called McCune School of Music. One day I went on the side trip to BYU with Bill Nash and was so impressed with the friendliness of the students that when Bill said I would miss the football games and other activities, I felt impressed to attend BYU also. We attended BYU together, batching it with four other guys, two from Canada. 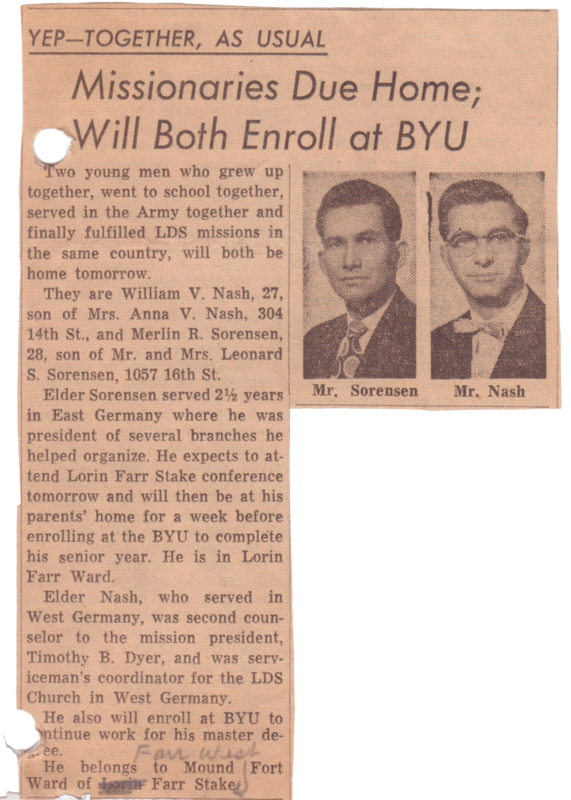 It was through Bill Nash that I went to BYU where my testimony grew. Because the spirit of the BYU and my success in music gave me the feeling of belonging and happiness. My desire to go on a mission was strengthened from a patriarchal blessing and the effort and effect of BYU. 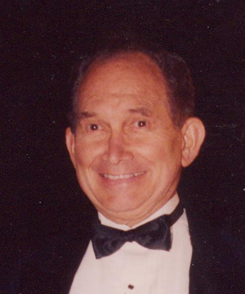 Later Bill Nash was in the Army and went on splits with full-time missionaries. He was so excited about his experiences that it was influential in my feelings for the gospel.